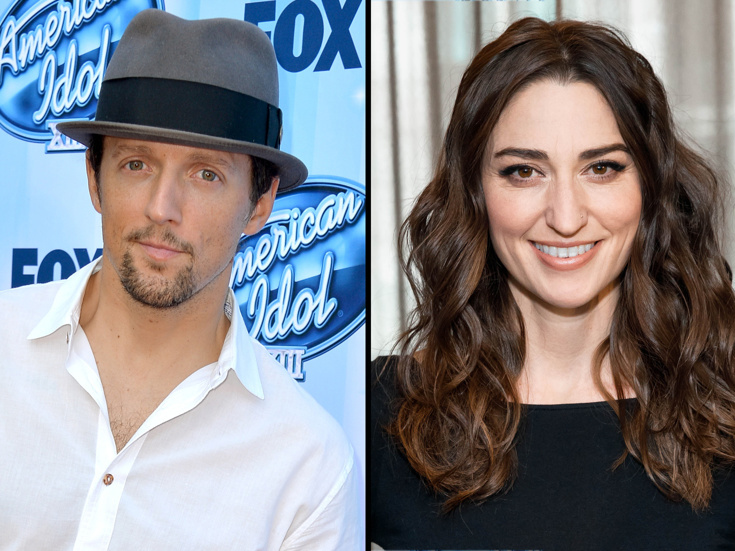 Broadway fans are buzzing from the announcement that singer-songwriter Jason Mraz will be joining the cast of Waitress in the role of goofy, charming leading man Dr. Pomatter on November 3. Mraz will lend his voice to the Tony-nominated score by hitmaker Sara Bareilles. Theatergoers weren't the only ones pumped about the impending Great White Way debut of one of music's most loved stars. For Mraz himself, the chance to take the Broadway stage is more than he could have wished for. "Broadway by itself is a big deal for any performer. I've been aware of it my whole life," Mraz told Broadway.com. "Add Sara B's beautiful pop-musical compositions and I'm simply blessed." Mraz called the chance to perform on Broadway "the impossible dream" and doing so to the tune of Bareilles' pop-inflected score is no doubt the perfect fit. “Jason is such a multi-faceted artist and brings so much creativity to everything he does," Bareilles told Broadway.com. "He is so intelligent and funny and has so much heart—he will be so natural in this role. I'm excited for audiences to get to see him play in a new playground!" Bareilles' score isn't unfamiliar to Mraz, who contributed vocals to her album What's Inside: Songs from Waitress. "Jason's voice is so versatile and seamless," said Bareilles. "Not only do I already know he sounds great on the songs because he sang them on my concept record, but he has incredible range and clarity as a live artist. He will sound like sugar butter awesome on these songs." Mraz is set to play a 10-week limited run in the celebrated musical, so make your way on over to the Brooks Atkinson Theatre to see him serve up what is sure to be a can't-miss Broadway debut.